Here is an original RAF Pathfinder award, pin back in gold finish. The Pathfinders were target-marking squadrons in RAF Bomber Command during World War II. They located and marked targets with flares, which a main bomber force could aim at, increasing the accuracy of their bombing. The Pathfinders were normally the first to receive new blind bombing aids like Gee, Oboe and the H2S radar. The early Pathfinder Force (PFF) squadrons was expanded to become a group, No. 8 Pathfinder Force Group in January 1943. The initial Pathfinder Force was five squadrons, while No. 8 Group ultimately grew to a strength of 19 squadrons.While the majority of Pathfinder squadrons and personnel were from the Royal Air Force, the group also included many from the air forces of other Commonwealth countries. A scarce original RAF Pathfinder Award, private purchase and marked silver, pin back fitting. 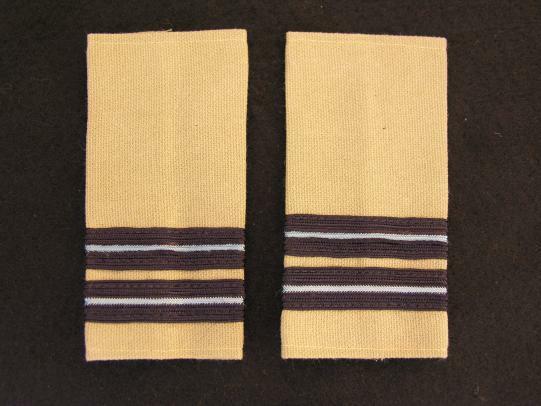 A matching pair of RAF Sergeant rank stripes. Removed from uniform with some service wear and age to them. 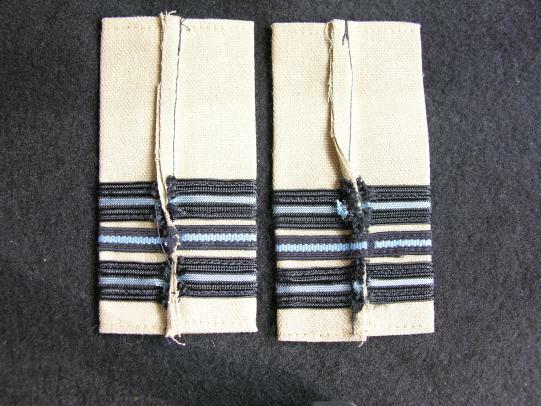 Here is an RAF padded pilot wing in near mint condition. Embroidered silk thread a good period example. Measures 4 1/2" x 1 1/2"
An RAF original set of pilot wings, flat example in very good condition. A good period example of an RAF Bombardier half wing, padded and removed from uniform with light wear. 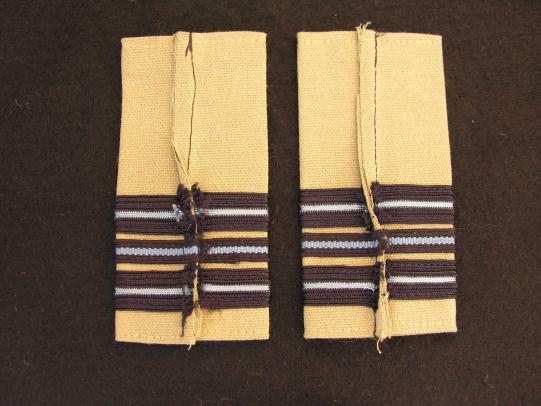 A pair of RAF Summer issue Wing Commander slip-on rank.In mint condition. 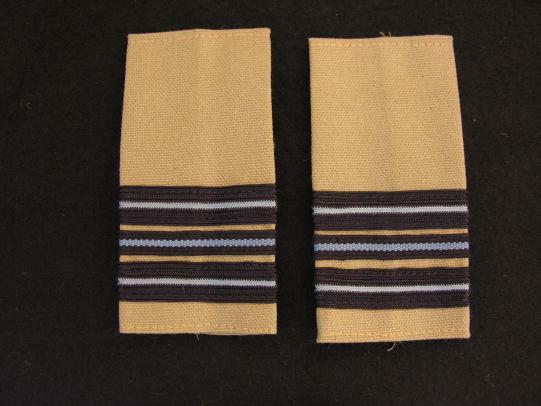 A pair of RAF Summer issue Squadron Leader slip-on rank. 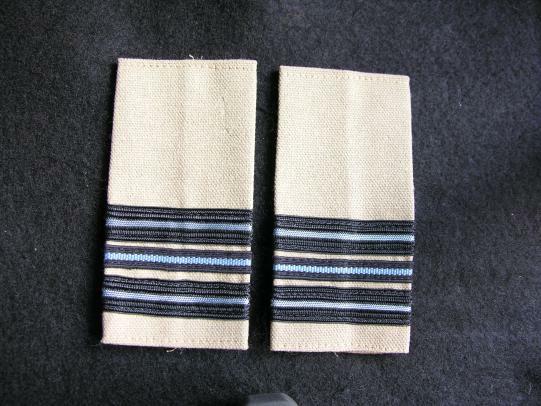 A pair of RAF Summer issue Squadron Leader slip-on rank. In used condition with service wear. 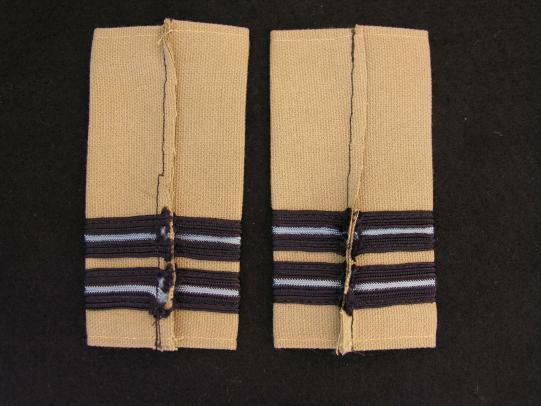 A pair of RAF Summer issue Flight Lieutenant slip-on rank.